EXILE TRIBE has taken on the challenge of creating a new and unprecedented kind of entertainment like never before! “HiGH & LOW” is the world’s first comprehensive entertainment project that encompasses various forms of content media, including a movie which will be shown nationwide, a TV drama and live shows in relation to its theme. In summary, this includes a movie release at its core, a drama adaptation, manga adaptation, an original album, and a live show tour from EXILE TRIBE. Check on the drama details and other press release as detailed from the LDH site below. With the nationwide theater release on July 16, 2016 (Distribution c/o SHOCHIKU Co., Ltd.) at its core, the project takes the next step as it delves into the other forms media, one of which is its late night drama adaptation which will be aired on NTV. What’s more, all episodes of the special director’s cut version of that drama series will also be aired exclusively through the online video distribution service Hulu. Aside from television, it will also be shown in other media, including its comic adaptation and the world of HiGH & LOW as realistically presented through Instagram and other SNS sites. 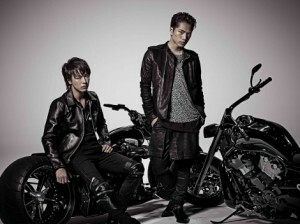 And of course, as a project unique to LDH, we also plan to produce an original album that spans across the different EXILE TRIBE groups and hold a live show tour based on HiGH & LOW too. It is the first comprehensive entertainment project in the world, with contents from different forms of visual media all created in connection to the movie. This project aims at breaking tradition, creating a new way to enjoy movies. Through NTV’s know-how on media and LDH’s know-how on entertainment, this project will create an entertainment experience on an unprecedented scale that appeals to all five of your senses like never done before. This movie is based on a completely original storyline. Seeking control of the SWORD Area, the different groups put their pride on the line as they all engage in a fierce battle. And amid all the exciting action scenes is the movie’s realistic portrayal of life and the world as seen from an adult’s perspective. In addition, before the movie is shown nationwide, an unprecedented and star-studded lineup of cast members from EXILE TRIBE will gather in the late night drama series which will be aired on NTV from October 2015. The information about our deluxe line up of actors and actresses, other than the members of the EXILE TRIBE, will be announced anytime soon! Watch how EXILE TRIBE takes on this challenge of a new and unprecedented kind of entertainment! *Other deluxe cast members will be announced anytime. The legend begins at a certain town that used to be under the rule of a legendary organization called “Mugen”. And within the ranks of that domineering organization were two legendary brothers – the Amamiya Brothers, who were proved to be both brutal and unbeaten during that time. SHOCHIKU Co., Ltd. (Distribution) / A blockbuster movie featuring the EXILE TRIBE & a star-studded lineup of cast members! All content from the other media are all linked to this movie! 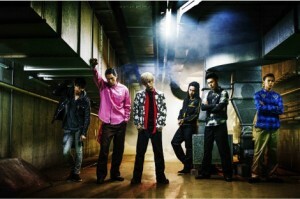 NTV / Late night TV drama version will be coming to your TV set soon! Hulu / All episodes of the special drama series will be aired exclusively on Hulu! 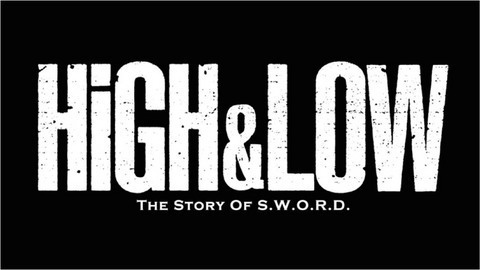 “HiGH & LOW” × AKITA SHOTEN / A large-scale project involving “a comic adaptation of the film” will start soon!! On “BESSATSU SHŌNEN CHAMPION” & “Young Champion”, the world of “HiGH & LOW” will be presented to you as seen from the differing perspectives of two manga companies! Before the details about this project were fully unveiled, 3 instagram accounts were opened and constantly updated to introduce the cast members of HiGH & LOW and show photos which paint a picture of what the world of HiGH & LOW looks like. In the future, there will be new projects to be launched in relation to its drama series. ◆In 2016, an original album will be released! ◆In 2016, a live show tour in connection with the movie and drama will be held! As one of LDH’s unique entertainment projects, we will hold a live show tour which will present you the world of HiGH & LOW! “I started the project HiGH & LOW in an attempt to create a thrilling and exciting form of entertainment for people all over the world. And after taking a hard look at each of the EXILE TRIBE members’ dreams, the artists’ performances and other engagements, all different kinds of ideas sprang forth and inspired me to start working on this project. It will be different from our regular projects and performances, in a way that it presents our mantra of “Love, Dream, Happiness” from a totally new standpoint.